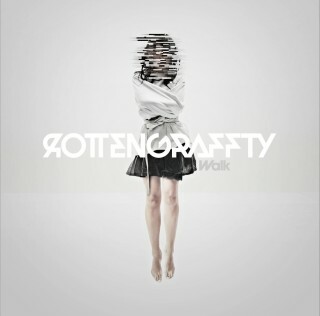 Thank you very much for your purchase of either ”Walk”(Album) or the songs on “Walk” by ROTTENGRAFFTY at iTunes Music Store. We think all of you have been enjoying the songs with the final leg of the album release tour coming up soon. However, we found out that the songs sold by our mistake at iTunes Music Store were not the final version. *Please be informed that the songs were replaced with the final version after February 28th, 2014. You can rest assured of the song quality. We also deeply apologize that the songs couldn’t be purchased with the replacement procedure from early February 26th to February 27th. We feel sorry to cause you troubles, but we therefore kindly ask all who purchased the songs by February 26th to send us the screenshot of iTunes purchase certificate. We’d like to offer those who send us the iTunes purchase certificate before noon on February 26th the following two things besides the final version of the songs. *Please send us the screenshot of the playlist of what you purchased at iTunes music store. *This is for those who purchased the songs on iPhone Please send us the receipt sent from iTunes: it has the receipt date in the upper right and the playlist information beneath the date..
*Please do NOT forget to add “your name, address, the size of T-shirt (S, M, L, XL) and the concert date you would like to go” in the text. *We’ll soon send you the final version of the songs and the goods as a token of apology as soon as everything is confirmed. 【Important!】This is for those who purchased the songs before February 26th. Please delete all the not-final version of the songs from your computers and all the devices. You can replace the songs with the final version with the following procedure. The preview music data at iTunes Music Store will be replaced with the final version of the songs for the first time after the procedure. Sorry for causing you troubles, but please give it a try. (1) Please make sure that you are signing in with the same Apple ID as the one you used to purchase the songs. < Sign-in Procedure > Menu > Store > Sign in OR have iTunes Music Store on the screen > click “Sign in” in the upper left *Please sign out first if you have already signed in and then, sign in again. (2) Please check/choose the relevant songs in your library. (5) Then, you will see the iCoud’s “Cloud & Arrow” download mark on the right side of the song. Please click the mark. The download of the songs currently sold at iTunes starts. (1) Please make sure that you are signing in with the same Apple ID as the one you used to purchased the songs. (2) Please make the ROTTENGRAFFTY songs/album you purchased indicated on the screen with Music App. (3) Please tap the Cloud & Arrow mark on the right side of song/album title. (4) Once you tape the mark, the download of the final version of the songs currently sold at iTunes starts. The detailed procedure is also found on Apple site. Please use it as a reference. If you have any further questions or concerns, please feel free to “reply” to this e-mail, info@jms1.jp. We don’t set the deadline so that this announcement can reach all who purchased the songs and they can get the final version of the songs for sure. So please contact us whenever you notice the announcement. *We’d like to ask you to “reply” to this e-mail,info@jms1.jp regarding all about this matter. We really appreciate your kind understandings & cooperation. Japan Music System Co., Ltd.
SINGLE「 D.A.N.C.E. / 灯」各地夏FES にも多数出演! !